Sunrise hunting becomes an option when traveling. There are some people who really admire the beauty of sunrise. Sometimes many people ask when is the right time to enjoy the sunrise. Actually all the good months to enjoy the sunrise but there are advantages and disadvantages of each. If when the drought arrives we will be free to enjoy the natural scenery without getting blocked by rain. 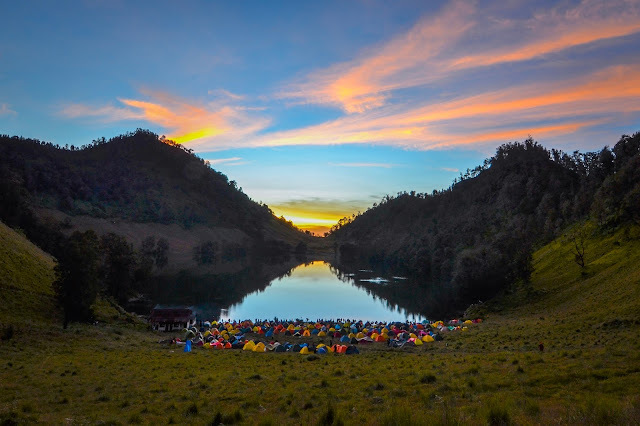 So this time we will discuss about some of the most beautiful places to enjoy the sunrise scenery in Indonesia. 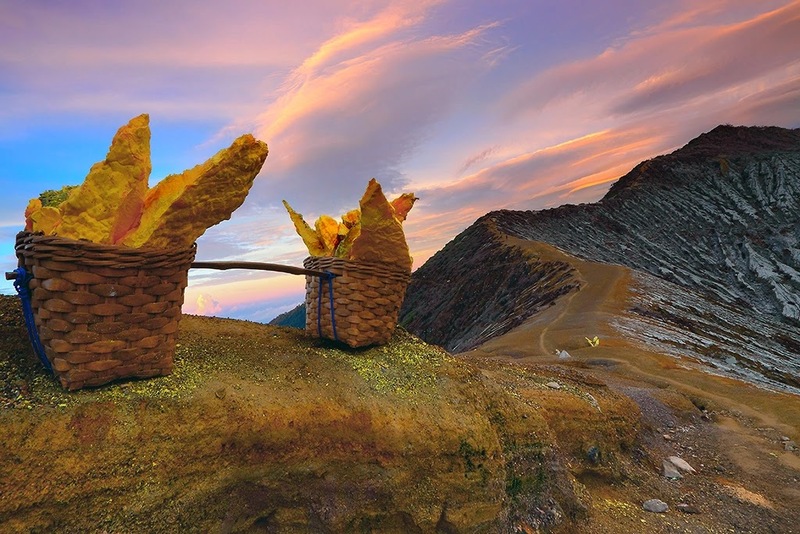 The crater located at the top of Mount Ijen has a depth of 200 m and an area of 5.4 ha. Due to its location on the top of Mount Ijen, this hotspot is a perfect place to enjoy the most beautiful sunrise in Indonesia. If you are a person who likes to stay up, then before enjoying the sunrise, enjoy the first bluefire phenomenon or the famous blue flame there. This phenomenon can be seen at 02.00 - 04.00 am. Oh yeah, the special of the crater of ijen is not only the golden sunrisenya but also the blue fire phenomenon "Bluefire" which there are only 2 in the world. 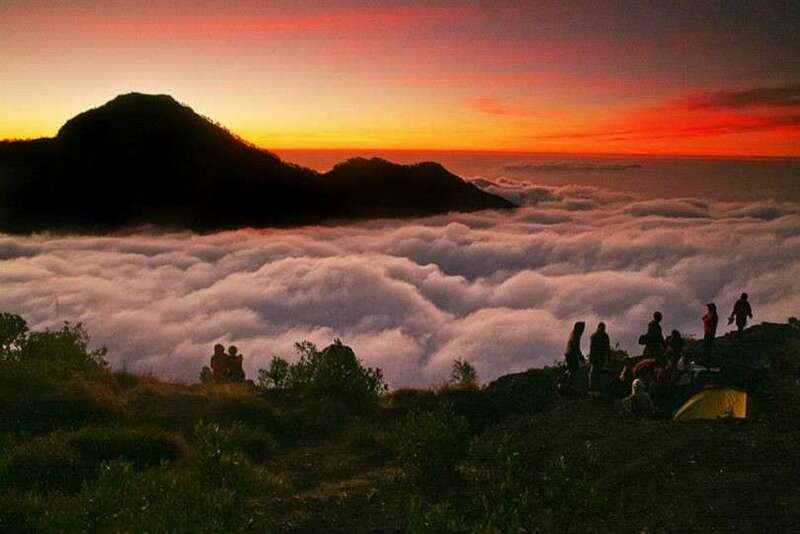 The beauty of the morning sun can also be seen from the peak of Mount Prau or sometimes called Mount Prahu. 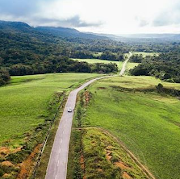 Not only the beauty of the morning sunshine that you can see at the top of the mountain but the beauty of the vast meadows with small hills and savannas. This mountain is located in Batang Kendal Regency, Wonosobo. Who does not know this Tengger Tiger mountain? Yes, almost all people in Indonesia have known him. The mountain that has a height of 2.329 meters above sea level is included in the area of Bromo Tengger Semeru National Park. 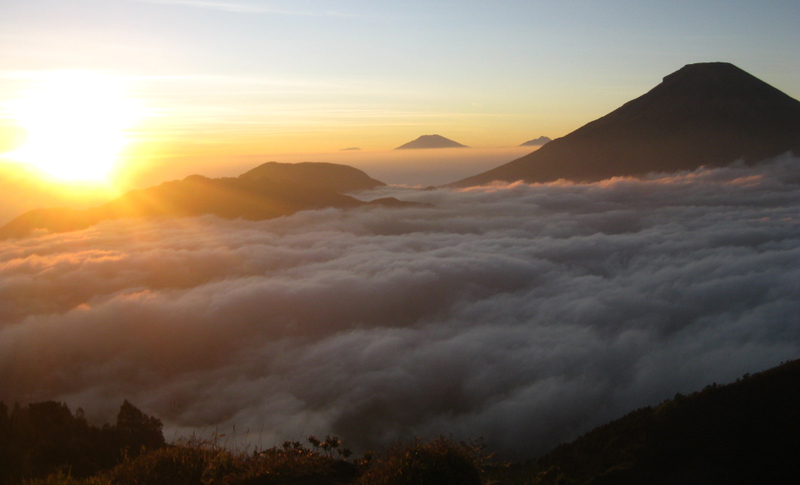 The most beautiful sunrise in Indonesia can be enjoyed at climbing 1. When peak season or hunting season arrives, you can get the sunrise view from climbing 2, Bukit Kingkong or Bukit Cinta. One of the most beautiful sunrise hotspots in Indonesia is located in the village of Sembungan with an altitude of 2.350 meters. The perfect time to watch the sunrise on this hill is during the dry season between July and August. 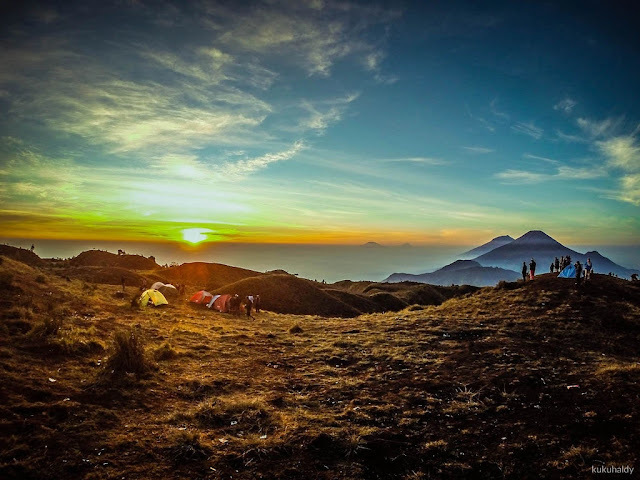 Located on the island of Lombok, West Nusa Tenggara with an altitude of 3.726 m above sea level, Mount Rinjani is a very beautiful place to enjoy the scene of the appearance of morning sunshine. A bit strange is his name, but this is a hill located to the southwest of Borobudur Temple. 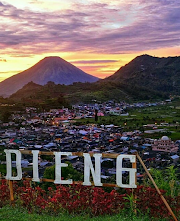 Why this place is perfect for enjoying the sunrise because from the top of this hill you will be served the sunrise view from behind the beautiful Mount Merapi and Merbabu. 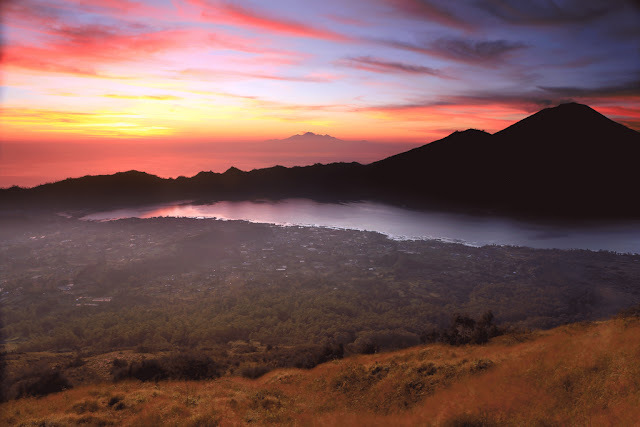 Hear the name of Batur, you will surely guess that this mountain is located in Bali. Exactly. 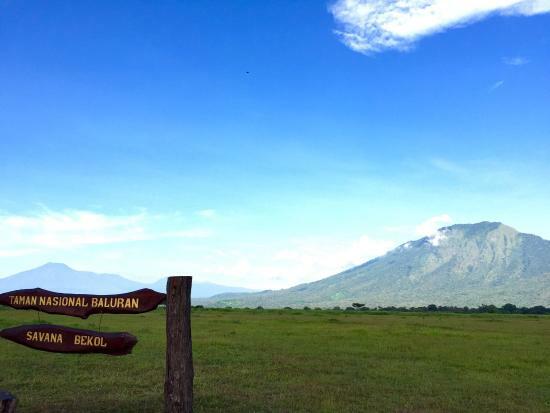 The mountain where the sunrise is indeed located in Bali precisely in Kintamani District, Bangli Regency, Bali. The mountain is beautiful but to achieve it you have to spend extra energy because of the rocky terrain. Borobudur Temple, a temple built in 800 AD by king Syailendra, is a very beautiful place. The beauty of this temple will be more complete with additional sunrisenya view. This one sunrise destination is not a mountain or hill but a mountain lake located in Lumajang Regency, East Java. So, if you go to this place, not only the beauty of sunrise that you can watch, but also the beauty of the lake. 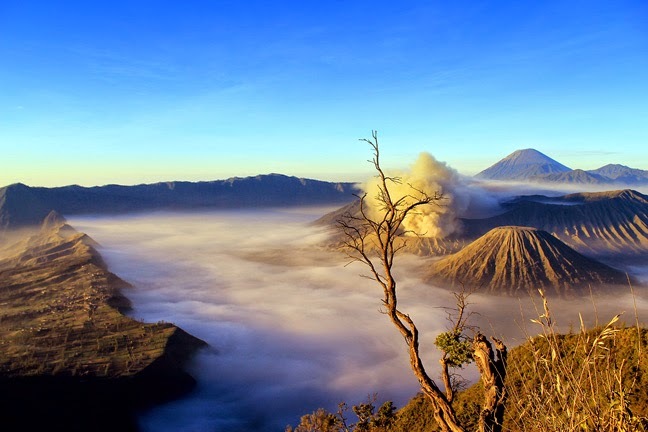 One of the most beautiful sunrise tourist destination in Indonesia is rarely heard. However, if you go there, you have nothing to lose because it will be like being in Africa.